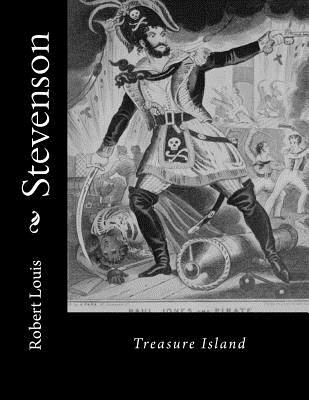 Treasure Island is an adventure novel by Scottish author Robert Louis Stevenson, narrating a tale of "buccaneers and buried gold." First published as a book on 14 November 1883 by Cassell & Co., it was originally serialized in the children's magazine Young Folks between 1881 and 1882 under the title Treasure Island or, the mutiny of the Hispaniola with Stevenson adopting the pseudonym Captain George North. Traditionally considered a coming-of-age story, Treasure Island is a tale noted for its atmosphere, characters and action, and also as a wry commentary on the ambiguity of morality - as seen in Long John Silver - unusual for children's literature. It is one of the most frequently dramatized of all novels. The influence of Treasure Island on popular perceptions of pirates is enormous, including such elements as treasure maps marked with an "X," schooners, the Black Spot, tropical islands, and one-legged seamen bearing parrots on their shoulders. Robert Louis Balfour Stevenson (13 November 1850 - 3 December 1894) was a Scottish novelist, poet, essayist, and travel writer. His most famous works are Treasure Island, Kidnapped, and Strange Case of Dr Jekyll and Mr Hyde. A literary celebrity during his lifetime, Stevenson now ranks among the 26 most translated authors in the world. 1] His works have been admired by many other writers, including Jorge Luis Borges, Bertolt Brecht, Marcel Proust, Arthur Conan Doyle, Henry James, Cesare Pavese, Ernest Hemingway, Rudyard Kipling, Jack London, Vladimir Nabokov, J. M. Barrie, and G. K. Chesterton, who said of him that he "seemed to pick the right word up on the point of his pen, like a man playing spillikins." In late 1873, on a visit to a cousin in England, Stevenson met two people who were to be of great importance to him, Sidney Colvin and Fanny (Frances Jane) Sitwell. Sitwell was a 34-year-old woman with a son, separated from her husband. She attracted the devotion of many who met her, including Colvin, who eventually married her in 1901. Stevenson was also drawn to her, and over several years they kept up a heated correspondence in which Stevenson wavered between the role of a suitor and a son (he came to address her as "Madonna"). Colvin became Stevenson's literary adviser and after his death was the first editor of Stevenson's letters. Soon after their first meeting, he had placed Stevenson's first paid contribution, an essay entitled "Roads," in The Portfolio. Stevenson was soon active in London literary life, becoming acquainted with many of the writers of the time, including Andrew Lang, Edmund Gosse, and Leslie Stephen, the editor of the Cornhill Magazine, who took an interest in Stevenson's work. Stephen in turn would introduce him to a more important friend. Visiting Edinburgh in 1875, he took Stevenson with him to visit a patient at the Edinburgh Infirmary, William Ernest Henley. Henley, an energetic and talkative man with a wooden leg, became a close friend and occasional literary collaborator, until a quarrel broke up the friendship in 1888. Henley is often seen as the model for Long John Silver in Treasure Island. Stevenson was a celebrity in his own time, but with the rise of modern literature after World War I, he was seen for much of the 20th century as a writer of the second class, relegated to children's literature and horror genres. Condemned by literary figures such as Virginia Woolf (daughter of his early mentor Leslie Stephen) and her husband Leonard, he was gradually excluded from the canon of literature taught in schools. His exclusion reached a height when in the 1973 2,000-page Oxford Anthology of English Literature Stevenson was entirely unmentioned; and The Norton Anthology of English Literature excluded him from 1968 to 2000 (1st-7th editions), including him only in the 8th edition (2006).